Wake up and work out your muscles with every move at Barreform. Barreform studio offers introductory, standard and advanced classes in barre, Megaformer, TRX suspension training, yoga and mat Pilates classes. Megaformer machines are designed to not only work out multiple muscles in every move but strengthen as you’re stabilized! Feel the burn and experience a new work out at Barreform. The Bethlehem Skateplaza is a 23,000 square foot oasis for skaters and bikers. Open from sun up to sun down every day of the year, weather permitting! The Za’, as it is known amongst its users, has the ability to host events, competitions, and classes for young skaters and bikers. Bethlehem Steel Ice Center located at 320 E 1st St, Bethlehem. Steel Ice Center is the premier ice skating facility in the Lehigh Valley. The center offers a dynamic mix of programs that will suit the beginner skater, all the way to the person seeking the advanced levels of their ice skating sport. 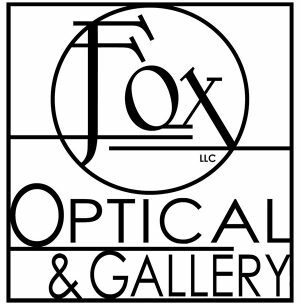 Since 1998, Fox Optical has been a leader in quality eye care and eyewear. From traditional to trendy, conventional to hipster, their frames offer something for everyone. Dr. Tim Fox takes the time to get to know you – your history, your habits, and your needs – to determine the best way to help you see clearly. If you already have a doctor’s prescription, their staff will make your eyeglasses accurately and accordingly. Please call their office to make an appointment. 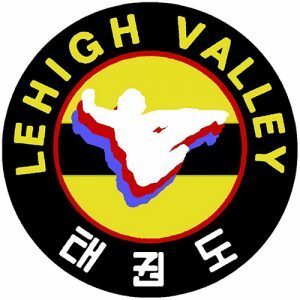 Lehigh Valley Taekwondo (LVTKD) provides an opportunity to learn the great art of Taekwondo — a modern martial art with a long historical tradition that originates in Korea. Techniques and principles behind Taekwondo are taught through “old-style” training. Etiquettes and physically demanding workouts nurture martial artists of tomorrow. Our school is about learning and preserving the tradition, as well as the true form of Taekwondo and martial arts. Ritter Pharmacy is a family-owned business in South Bethlehem that has expertly served customers since 1954. Their family has gotten to know your family over those years, and that friendly relationship has helped them do their job well. The professionals at Ritter Pharmacy work with you, your doctor and your insurance company to help you stay healthy and maximize your benefit. Established in 2006 by Tom Fenstermacher, the grandson of a Bethlehem Steel Machinist, Steel Fitness Riverport was built around the community and culture that is Southside Bethlehem. Located in the former Bethlehem Steel Johnson Machinery Building, the spirit of hard work and dedication lives on through our members today. We have so much to offer our members here at Steel Fitness Riverport, including a variety of classes that can help you reach your goals. Whether you want to build strength, get more athletic, or shed some pounds, we can help you get there in a fun, supportive environment. St. Luke’s University Health Network (SLUHN) is a non-profit, regional, fully integrated, nationally recognized network providing services at ten hospitals and more than 315 sites in Lehigh, Northampton, Carbon, Schuylkill, Bucks, Montgomery, Berks and Monroe counties in Pennsylvania and Warren and Hunterdon counties in New Jersey. The mission of St. Luke’s University Health Network is an unwavering commitment to excellence as we care for the sick and injured, educate physicians, nurses and other health care providers; and improve access to care in the communities we serve, regardless of a patient’s ability to pay for health care. Entrance at New Street between Mechanic St. & E Graham Pl. The SouthSide Greenway is a linear park that follows the former Norfolk Southern rail line, linking the neighborhoods of South Bethlehem with the Arts District. The Greenway is a great location for biking, jogging and walking, with plans that will expand miles and miles. An edible landscape garden is located between Taylor & Webster Streets along with a Chinese Pavilion and perennial pollinator garden. The South Bethlehem Greenway can be accessed between 3rd and 4th Streets and expands from New Street at the base of the Fahy Bridge all the way to Saucon Park . The Yoga Loft is a welcoming and community-minded center offering Yoga, Pilates and Tai Chi classes, workshops and trainings. New beginners to experienced practitioners will find exceptional and compassionate teachers who share their knowledge skillfully.